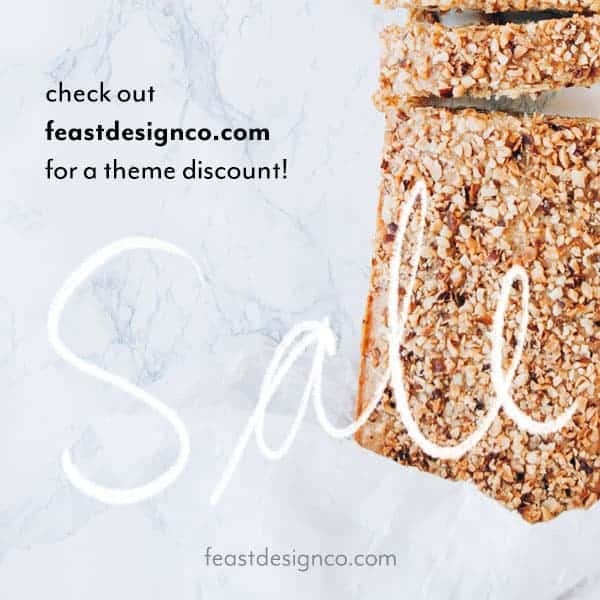 I’ve got playoff football on the brain but lets be honest, its as much about the food as it is about the game. There is something fabulous about having a delicious spread out all day for picking on while the game is going. I made these AMAZING Cold Peanut Noodles will be on the table this Sunday! 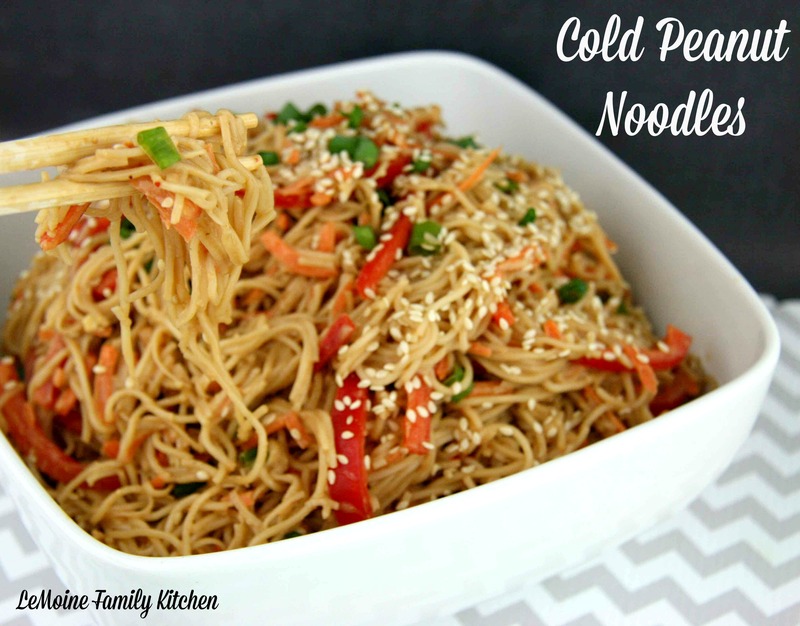 I really love a good cold noodle dish, especially with Asian flare and these Cold Peanut Noodles totally hit it on the head! Chinese noodles are tossed with a simple sauce made of peanut butter, soy sauce, rice vinegar, chili garlic sauce and a little water. 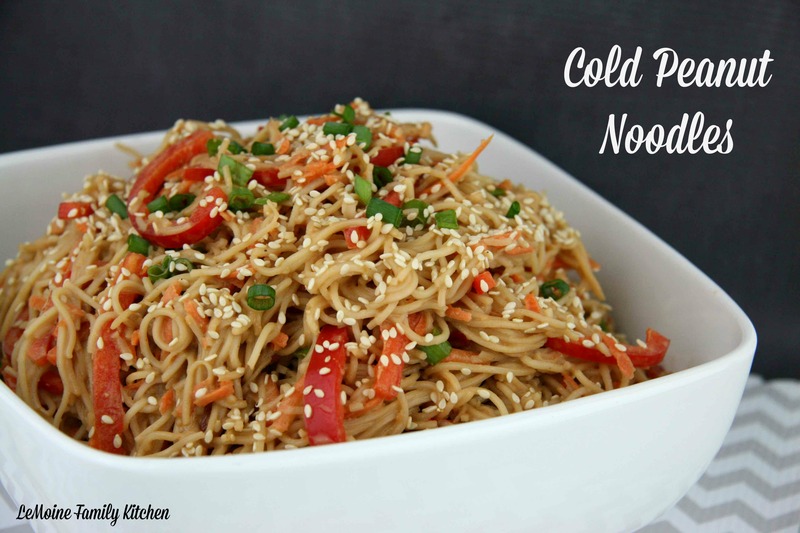 To add to the flavors, colors and texture of these noodles I also tossed in some thinly sliced red bell peppers, shredded carrots, scallions and topped it all off with toasted sesame seeds. Cook the noodles according to the package directions. Once cooked through, drain and rinse with cold water. In a small bowl, whisk together the warm water, peanut butter, soy sauce, rice vinegar and chili garlic sauce. Add the sliced red bell peppers, shredded carrots, scallions and some of the sesame seeds to the noodle bowl. Pour the sauce overtop and stir to distribute evenly. Garnish with some more scallions and sesame seeds.